2018 was an amazing year for us at MangoApps. 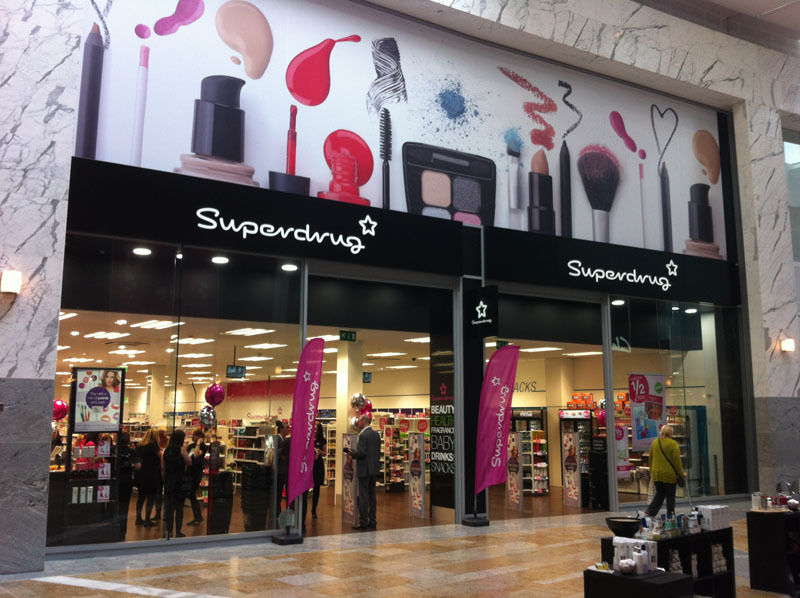 We continued to overcome every obstacle, as we listened to our customer’s needs, adapted to their unique requirements, and continued to provide them with the best possible communication and collaboration tools around. 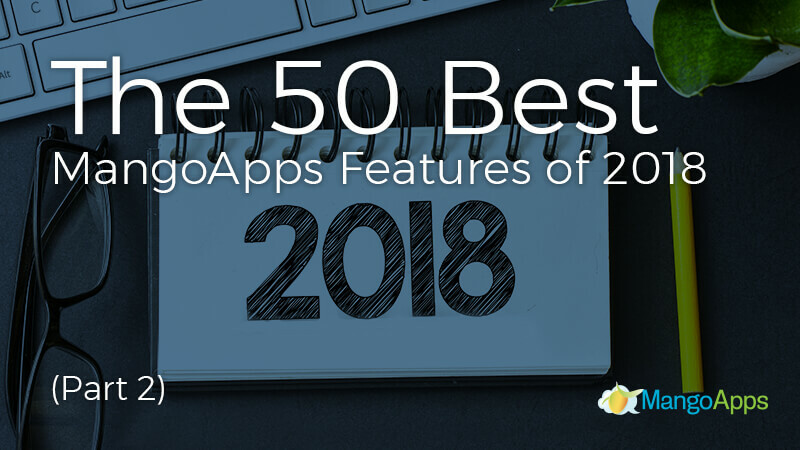 In our last post, we reviewed the first half of the Top 50 MangoApps features of 2018. Today, we’re excited to share the second part. Admins can now permanently delete user accounts without losing any of their contributed content. While the users and their profile information will be erased, any posts, wikis, updates, and other contributions will remain intact and be displayed by an “anonymous” system user. MangoApps file viewer now enables users to view images in a ZIP file without having to download them first. By selecting “view the images online” users are able to view ZIP images inside MangoApps, saving them both computer space and work time. To-dos can now include multiple reminders schedule for both before and after a task’s scheduled due date. Regular reminders, even after the due date has passed, ensures that important tasks will be remembered and completed, even if schedules change or users fall behind. Users can now invite any of their coworkers to a one-on-one video or audio call, enabling colleagues to easily communicate together. Participants can even share video screens or invite additional users to join in their conversation. MangoApps file sync can now support secure uploads to your my drive, team drive, or network drive of files up to 10GB per file. With this size increase, you can upload and share large videos that can’t be shared using other file storage and share cloud services or sent over email. Users and their profile data can now be exported using the following new filters: selected users, all network users, all guest users, all team admins, all not-logged-in users, all suspended users, or simply, all users. Profile date exports are available in XLS and CSV formats. Every aspect of the MangoApps platform has been upgraded and improved, making this the most secure MangoApps cloud platform to date. Part of this technology upgrade included a 3rd party application vulnerability assessment and the repair of all identified vulnerability items. MangoApps is here to help our EU customers become GDPR-ready. We’ve clarified key GDPR requirements and grouped them into different categories, helping our clients know which actions they need to perform and shared actions that need to be completed together. Shared to-do’s let individual users provide managers, supervisors and other coworkers visibility of the various action items they are working on, or allow admins to create a shared to-do section for groups of users. Shared group to-dos can also be made visible or kept private. Admins can now configure Google Cloud Identity as a SAML provider. Synced users can be mapped to user profile fields in MangoApps just like other SAML providers. Users with an existing Google Cloud Identity can also use it to increase their SSO abilities. Admins also have the ability to configure up to five SAML server instances. SAML servers can be configured to be the same type or can be different types. Users will have the option to log in from both web and mobile SSO pages to any of the configured SAML servers. Admins are able to set up a URL for authorized 3rd party app using the OAuth access token as a parameter. This enables designated 3rd party apps to receive information from MangoApps without needing to re-authenticate or re-authorize, providing a seamless SSO experience. The new people widget enables a specific list of people to be added to a personal dashboard, company page or team page. This list can be custom created or can consist of new members, domain admins, team leaders, or any other one of our pre-defined categories. Two new admin reports were added to the already long list of report options. Employee recognition reports provide admins with all recognitions given to employees during a specific time period. File activity reports capture any activity performed on a file during a specific time period. The quick link widget on the mobile dashboard and the shortcuts on primary navigation now support links to launch 3rd party mobile apps. The links use the OAuth2 access token to easily access 3rd party apps, providing users with a seamless OAuth2 based SSO experience. Priority IM Messages help users emphasize important messages and encourage a speedy response time. Messages marked as important have a red label, are pinned to the top of the recipient’s chat box, and generate a unique notification sound designed to alert the receiver. Company and team post templates make it easy to streamline content creation. Users can choose from a wide range of pre-designed and completely customizable out-of-the-box templates or can turn an existing company or team post into a new template. Groups and companies from Okta can now be synced with MangoApps. Okta sync is automatically triggered behind the scenes when an Okta user logs into their MangoApp domain. Admins can now sync Skype ID field in AD/LDAP and all SAML SSO providers into MangoApps. Our widget gallery has received several new enhancements including a new to-do summary, allowing users to view pending to-do items, and RSS widget duplication, enabling multiple RSS feeds from different sources to exist on company and team pages. MangoApps is now a standards-compliant SAML identity provider and can do both SP and IdP initiated SSO. After a web app has been successfully registered, admins can download the SAML metadata XML and begin using MangoApps as their SAML identity provider. MangoApps now informs admins about unsuccessful emails due to message bounce, message rejection or if a recipient has unsubscribed. When an unsuccessful email is detected, the email notification for that user is also automatically turned off to avoid any future email attempts. Now all shared cloud customers have the option to brand email notifications they receive from MangoApps. Branded emails are custom designed by our in-house specialist and are 100% personalized to match your specific company themes, logo, and guidelines. Both of MangoApps’ iOS and Android apps can now be fully translated into Dutch, Chinese, German, French, or Spanish. Users can change the default language from their settings menu. We’re incredibly proud of everything MangoApps has been able to accomplish in 2018, but that doesn’t mean our progress is over. 2019 is a new year and another opportunity to become even better, and we can’t wait to share everything we have in store. To learn more about MangoApps, our upcoming improvements, or to see how we help companies excel, schedule a personalized demo with us today.